Advanced Cardiac Life Support (ACLS) Course is organized by Associates in Emergency Medical Education (AIEME) and will be held on Apr 23, 2019 at Shriners Hospitals for Children - Tampa, Tampa, Florida, United States of America. Course Description: This 12 hour course is designed for those attending ACLS their first time or those who are renewing but do not practice in critical care or emergency related areas. As scheduling for a two day course can be difficult, we are now conducting the course in an elongated one-day schedule. Additional details will be posted as soon as they are available. Pediatric Nurse Practitioners (PNP) Course is organized by Barkley & Associates, Inc. and will be held on Apr 25, 2019 at Hilton Tampa Airport Westshore, Tampa, Florida, United States of America. This CME Conference has been approved for a maximum of 10.5 Contact Hours. Conference Topics: • Clinical Assessment • Common Problems in Acute Care • Diagnosis and Clinical Management for Adults • Extensive Review of System-Specific Health Problems • Health Care Delivery and Health Care Systems • Health Promotion and Disease Prevention • Nurse Practitioner/Patient Relationship • Pharmacologic management Additional details will be posted as soon as they are available. Family Nurse Practitioners (FNP) Course is organized by Barkley & Associates, Inc. and will be held from Apr 25 - 27, 2019 at Hilton Tampa Airport Westshore, Tampa, Florida, United States of America. Continuing Education Credit The course is approved for 26.25 contact hours of continuing education (which includes 11.5 hours of pharmacology) by the American Association of Nurse Practitioners. Conference Topics: • Clinical Assessment • Common Problems in Acute Care • Diagnosis and Clinical Management for Adults • Extensive Review of System-Specific Health Problems • Health Care Delivery and Health Care Systems • Health Promotion and Disease Prevention • Nurse Practitioner/Patient Relationship • Pharmacologic management Additional details will be posted as soon as they are available. Controversies in the Management of Rectal Cancer: From Total Neoadjuvant Therapy to Non-Operative Management to Patient Selection for Liver Resection is organized by Moffitt Cancer Center and will be held from Apr 26 - 27, 2019 at The Westin Tampa Waterside, Tampa, Florida, United States of America. The target audience for this medical event is Doctors, Healthcare Professionals, Nurses, Researchers. This CME Conference has been approved for a maximum of 6.0 AMA PRA Category 1 Credits™. Course Description: The emerging options of total neoadjuvant therapy (TNT) and non-operative management (NOM) for locally advanced rectal cancer are controversial. Data supporting the integration of endorectal brachytherapy to improve complete clinical response is evolving. Optimization of patient selection for each approach is not yet well defined. This course will examine the current data to guide multidisciplinary treatment recommendations in this complex area. Additional details will be posted as soon as they are available. Adult - Gerontology Primary Care Nurse Practitioners (AGPCNP) Course is organized by Barkley & Associates, Inc. and will be held from Apr 26 - 27, 2019 at Hilton Tampa Airport Westshore, Tampa, Florida, United States of America. This CME Conference has been approved for a maximum of 17.75 Contact Hours of Continuing Education (which includes 7.5 hours of pharmacology) by the American Association of Nurse Practitioners. Conference Topics: Test-taking and Study Strategies for Success • Clinical Assessment • Diagnosis and Clinical Management for Adults • Extensive Review of System-Specific Health Problems • Health Promotion and Disease Prevention • Pharmacologic management Additional details will be posted as soon as they are available. Advanced Cardiac Life Support (ACLS) Course is organized by Associates in Emergency Medical Education (AIEME) and will be held on May 01, 2019 at Florida Hospital Tampa, Tampa, Florida, United States of America. Course Description: This 12 hour course is designed for those attending ACLS their first time or those who are renewing but do not practice in critical care or emergency related areas. As scheduling for a two day course can be difficult, we are now conducting the course in an elongated one-day schedule. Participants are encouraged to also register for an online or onsite ACLS prep course Additional details will be posted as soon as they are available. Basic Life Support (BLS) Course is organized by Associates in Emergency Medical Education (AIEME) and will be held on May 01, 2019 at Florida Hospital Tampa, Tampa, Florida, United States of America. Additional details will be posted as soon as they are available. 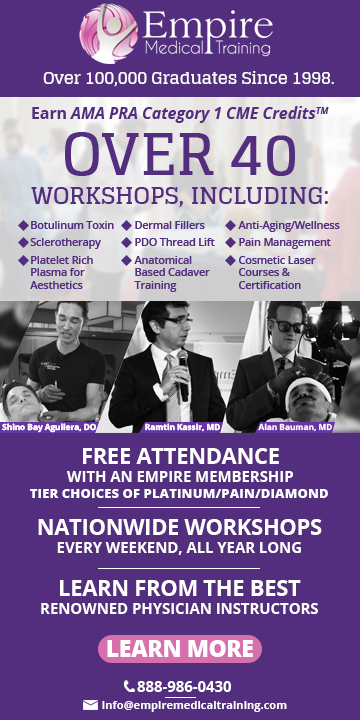 Treating Insomnia: Evidence-Based Strategies to Help Your Clients Sleep is organized by PESI HealthCare and will be held on May 13, 2019 at Sheraton Tampa Riverwalk Hotel, Tampa, Florida, United States of America. This CME Conference has been approved for a amximum of 6.30 Contact Hours. Target Audience: • Counselors • Social Workers • Psychologists • Psychotherapists • Therapists • Addiction Counselors • Marriage and Family Therapists • Case Managers • Nurses • Other Mental Health Professionals Course Description: One of the biggest mistakes you as a clinician can make is NOT asking about the client’s sleeping habits. We all know the necessity of sleep - especially for those who are depressed, anxious, obsessively worried, or in chronic pain - yet often we overlook this. And worse, we think there’s nothing we can do to help them. Join me, Colleen Carney, and I’ll show you successful, proven techniques I’ve developed over nearly 20 years on how to optimize your clients sleep - without medication! Discover evidence-based strategies to help your clients increase energy during the day, sleep more deeply, and re-initiate sleep after hot flashes, panic attacks or nightmares. The strategies I will show you can be easily integrated into existing treatment for depression, chronic pain, trauma and anxiety. Take the next step and join me today, I will help you learn new assessment tools, step-by-step CBT, and counter-arousal strategies that your client can immediately use. 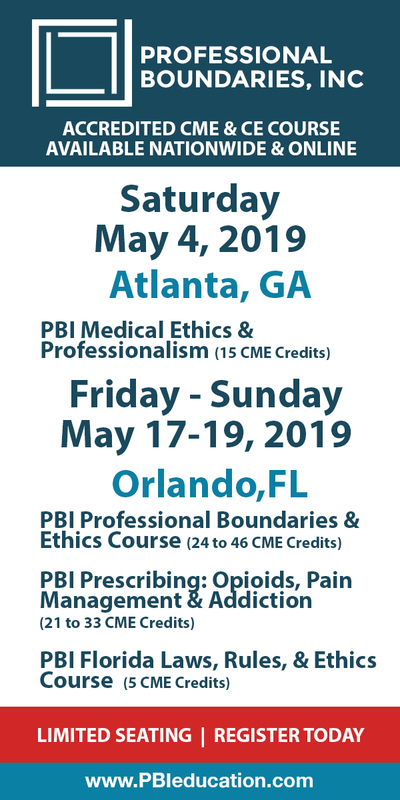 My engaging workshops will include discussion of case vignettes, experiential exercises, examples of sleep logs and other tools to use in your clinical practice. Course Objectives: • Identify sleep disorders which require referrals to a sleep center. • Integrate strategies to build a stronger drive for deep sleep. • Discuss why CBT-I is effective for clients with co-occurring issues such as pain, depression, anxiety or trauma. • List treatment strategies clients can easily implement to manage their fatigue. • Design behavioral experiments for clients to test unhelpful beliefs about sleep. • Identify conditioned arousal and teach clients strategies to reverse it. Pediatric Fundamental Critical Care Support (PFCCS) is organized by USF Health's Office of Continuing Professional Development and will be held from May 13 - 14, 2019 at USF Health, CAMLS, Tampa, Florida, United States of America. Target Audience: Non-Intensivist, Hospitalist, Emergency and Trauma Physicians, Physician Assistants, Advanced Registered Nurse Practitioners, Nurses, Respiratory Therapists and Pharmacists involved in the stabilization and management the critically ill infant and child. Accreditation Physicians: USF Health designates this live activity for a maximum of 13.5 AMA PRA Category 1 Credits™. Physicians should claim only the credit commensurate with the extent of their participation in the activity. FBM Physicians: USF Health is an approved provider of continuing education for nurses through FBN 50-2970. This program has been approved for 15.00 contact hours. Nurses: USF Health is an approved provider of continuing education for nurses through FBN 50-2970. This program has been approved for 15.00 contact hours. Pharmacists: USF Health is accredited by the Accreditation Council for Pharmacy Education as a provider of continuing pharmacy education. This knowledge based program has been approved for 15.00 contact hours (1.225 CEUs). Pharmacy Credit Disclosure: To receive continuing education credit, a pharmacist must attend the accredited sessions, actively participate in questions and answers, and must return the program evaluation instrument. In order to receive full credit, registrants must register no later than 10 minutes after the start of the meeting and must attend the entire meeting. Physician Assistants: AAPA accepts certificates of participation for educational activities certified for AMA PRA Category 1 Credit from organizations accredited by ACCME. Physician Assistants who participate will receive a certificate of completion commensurate with the extent of their participation. Advanced Practice Nurses: AANPCP accepts certificates of participation for educational activities certified for AMA PRA Category 1 Credit from organizations accredited by ACCME. Nurse Practitioners who participate will receive a certificate of completion commensurate with the extent of their participation. Need and Course Description: Early identification of the infant and child at risk for life threatening illness makes it easier to manage them appropriately and prevent further deterioration. Many clinical problems, if recognized early, can be managed with simple measures such as supplemental oxygen, respiratory therapy intervention, intravenous fluids or effective analgesia. Early identification of patients in trouble allows clinicians time to identify the main physiological problem, determine its underlying cause and begin treatment. The longer the interval between the onset of an acute illness and the appropriate intervention, the more likely it is that the patient’s condition will deteriorate, even to cardiopulmonary arrest. Studies have demonstrated that physiological deterioration precedes many cardiopulmonary arrests by hours, suggesting that early intervention could prevent the need for resuscitation, admission to the ICU and other sentinel events. The purpose of this activity is to assure the clinical team has the knowledge, skills and abilities to recognize, assess, and rapidly intervene with the deteriorating patient. The goal of PFCCS is to introduce principles important in the initial care of critically ill or injured pediatric patients to physicians, nurses, and other healthcare providers who are not skilled in pediatric critical care but who must care for such a patient in anticipation of the arrival of a pediatric intensivist or pending transfer of the patient to a more suitable facility. PFCCS accomplishes these goals by providing a balance of didactic lectures and hands-on skills stations while building on participant’s basic pediatric knowledge. Some of the unique features of the course include interactive case-based lectures and skill stations specific to the needs of the critically ill or injured children. Learning Objectives and Competencies: Upon completion of the course, the Physician, ARNP or PA participant should be able to: • Prioritize assessment needs for the critically ill or injured infant and child • Select appropriate diagnostic tests • Identify and respond significant changes in the unstable pediatric patient • Recognize and initiate management of acute life-threatening conditions • Recognize the need for and initiate expert consultation and/or patient transfer • Prepare for optimal transfer Upon completion of the course, the RN and Pharmacist participant should be able to: • Evaluate assessment needs for the critically ill or injured infant or child • Review appropriate diagnostic test results • Recognize and communicate significant changes in the unstable pediatric patient • Recognize and initiate management of acute life-threatening conditions • Recognize and communicate the need for expert consultation and/or patient transfer • Prepare for optimal transfer Competencies to be addressed: • Patient Care and procedural skills • Medical Knowledge • Systems-based Practice • Professionalism • Interpersonal and Communication Skills Additional details will be posted as soon as they are available. Neonatal Resuscitation Program (NRP) is organized by USF Health's Office of Continuing Professional Development and will be held on May 14, 2019 at USF Health, CAMLS, Tampa, Florida, United States of America. Description: The Neonatal Resuscitation Program® (NRP®) course conveys an evidence-based approach to care of the newborn at birth and facilitates effective team-based care for healthcare professionals who care for newborns at the time of delivery. NRP utilizes a blended learning approach, which includes online testing, online case-based simulations, and hands-on case-based simulation/debriefing that focus on critical leadership, communication, and team-work skills. NRP Learning Objectives: • Conveys an evidence-based approach to care of the newborn at birth • Facilitates effective team-based care for healthcare professionals who care for newborns at the time of delivery • Utilizes a blended learning approach, which includes online testing, online case-based simulations and hands-on cased based simulation • Incorporates debriefing that focuses on critical leadership, communication, and team-work skill Additional details will be posted as soon as they are available.